I've grown to love Barcelona at this time of year, even if the weather is less than reliable. It's possible to shake off the tourists on las Ramblas and la Boqueria and wander the old town in peace. I have to admit I was a little apprehensive when we touched down in the city this year. How would this vibrant, multi-ethnic city be coping with an unemployment rate edging towards 24%. We did see a couple of small-scale demonstrations, but on the surface life seemed little different. Only if you asked the question did anyone volunteer that times were tough. 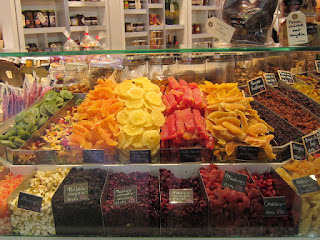 Barcelona is still its welcoming self, so go and spend your Euros. It's a great city for a short break, but not too short as there is a lot to see and do. Staying in the El Born area, two minutes from Mercado de Santa Catarina, it was tempting to spend all our time wandering the old town, but we were in a mood to explore. So here are a few recommendations for places to see in the old quarters of Barcelona and a few to take you closer to, and north of, Av. Diagonal. First the old, south of Placa de Catalunya and north of Barcelonetta. Mid-way between Placa de Sant Jaume and Via Laietana you'll find Calle Dagueria, a typical narrow pedestrian street in the Barri Gotic. No. 16 is home to Formatgeria la Seu, stocking a fine range of Spanish cheeses, some you may not have come across before. They are carefully selected direct from the farms of artisan producers by Scottish, long-time Barcelona resident, Katherine McLaughlin to grace the shelves of this must visit cheese shop. Just a couple of doors down is the great little typical Barcelona hole-in-the-wall bar, Zim, at No. 20 selling wine and plates of cheeses and membrillo from the shop. Very cosy and packed with a good mix of residents, students and tourists when we visited. Squeeze in, they like it that way. 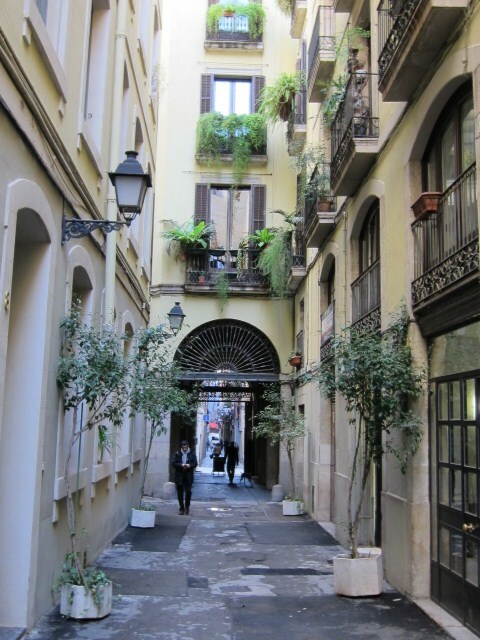 East of the Barri Gotic, crossing the Via Laietana brings you into the El Born district. The pace is more leisurely here and you can truly wander through the labyrinthine pedestrian-only streets. Deep in El Born is where you'll find the Museu de Picasso, with the Mercado de Santa Catarina a 5-10 minute winding walk north and the famous Cal Pep restaurant the same distance due south. A few minutes further east of Cal Pep is the Placa Commercial and the interesting dried goods shop Casa Torras. You'll wish you'd travelled lighter when you see what you can buy. If you're in need of lunch, Commerc 24 is a few steps away on Carrer de Commerc (haven't been but heard good things). Alterntively, you can take the weight off your feet in nearby Parque de la Ciudadela and watch the antics of the noisy green parrots. When you've had enough of the closed-in feeling of the old town, go north of Placa de Catalunya into the Gracia and Eixample areas of Barcelona. The Passeig de Gracia is great for Gaudi spotting and for fashion and furniture shopping. Just off to the right on C/Diputacio is Tapas 24, sister bar to Commerc24. You may have to queue but it's a reliable and buzzy place to eat. Further up, at the junction with Av. Diagonal, is the little green haven of the Jardine del Palau Robert. Crossing Av. Diagonal at this point will take you into the more heavily residential area of Gracia and to Placa Llibertat. Here you'll find the very untouristy Mercado de Llibertat, a paired-down version of Mercado de Santa Catarina. As you'd expect, there are fantastic fish stalls and grocers in this local covered market. Look out for the stall, Lagrana, selling a huge range of nuts and dried fruits, and the fish stall with its own bar selling cooked seafood dishes. Useful to know about if you are in the area but a jamon bocadillo and coffee at La Pubilla did cost the same (6 Euros) as at the outstanding Jamonisimo a 10 minute walk away. Take the Trav. di Gracia west from Placa Llibertat and turn right onto C/ Muntaner. 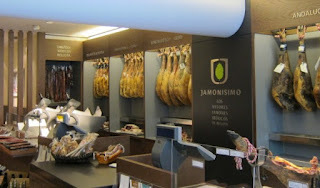 You'll find the exceptional Jamonisimo, at No. 328. A non-functioning website and the apparent closure of one of their three branches has caused some confusion but I can assure you this branch is open. They sell a fantastic range of the best Jamon Iberico from Andalucia, Extramadura and Salamanca either machine cut or hand carved. There's also a smart little cafe at the back of the shop. Expect charming, professional service. 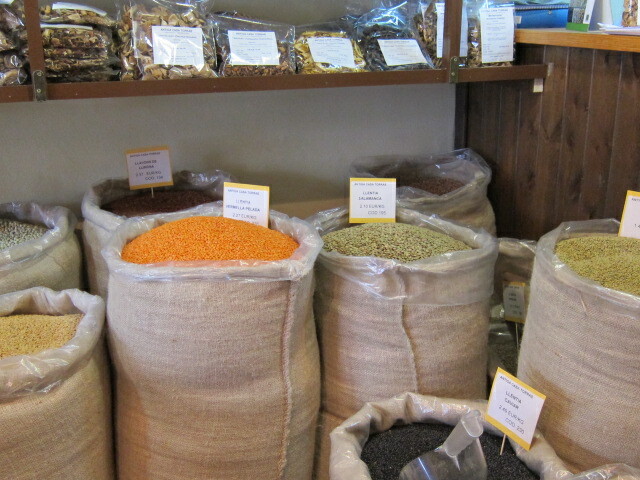 The neighbouring food shop Lleonart a couple of doors up the hill is also worth a look for ready prepared dishes. 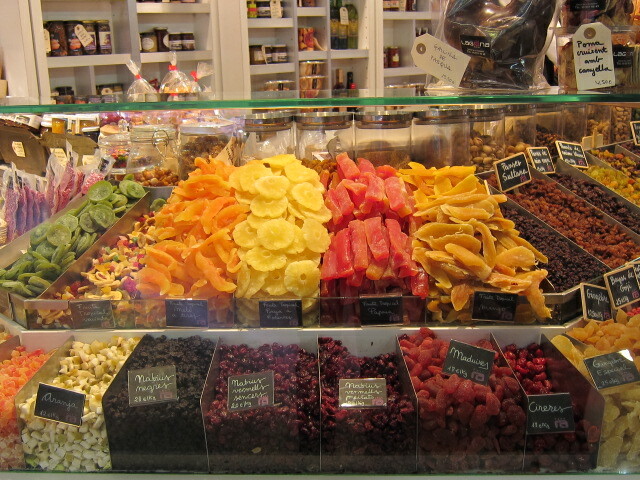 Walk 10 minutes north-west to find El Bulli trained baker and chocolatier Oriol Balaguer at 62 C/ Benet Mateu, near Placa Sant Gregori Taumaturg. Retrace your steps to C/ Muntaner and go east one street to C/ Aribau, dropping down into the Eixample area towards Placa de Catalunya. 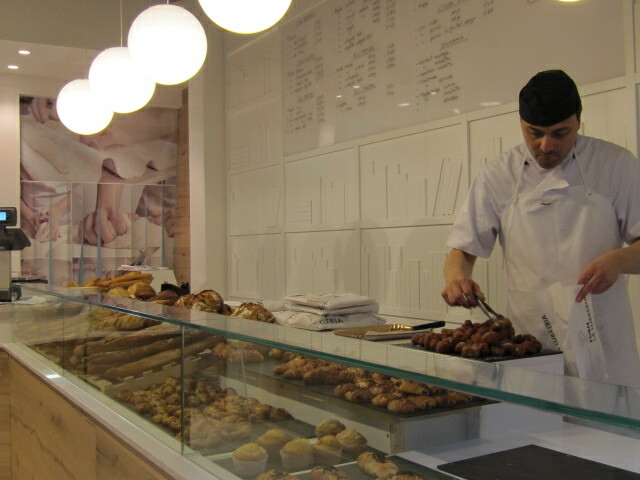 You'll find bakery Forn de Llibreria at No.22. Baking on-site, they sell breads,﻿﻿﻿﻿ coques, croissant-like ensaimades, magdelene pastries and, when we were there, delicious sugar-coated bunyols. There's just one more market you really should take a look at. Mercado de la Concepcio at 311 C/ Arago just by Metro Passeig de Gracia. It sells all kinds of food and co-habits with a supermarket and a flower market. Good tapas is not hard to find, but when you come to crave a 3 course lunch rather than a few tapas, take a look at my post on Gresca.